It's a random mix of players and shoes this week. We even have a Terry Mills sighting! 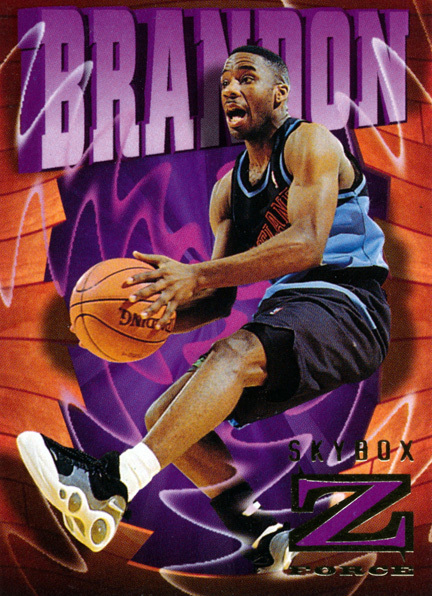 Jason Kidd is probably the player most associated with the Nike Zoom Flight '95 but another top point guard of the time who wore them was Terrell Brandon. 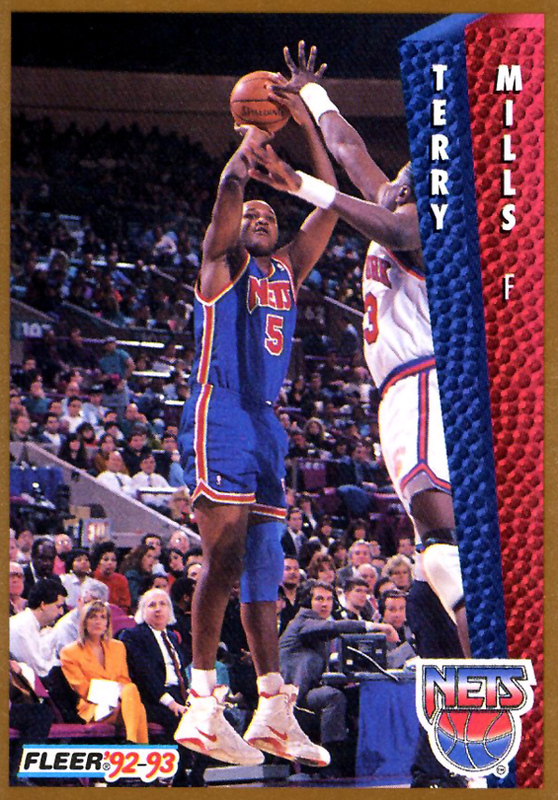 Here we get a look at Terrell in the Black / White-Gray colorway of this iconic shoe which actually goes quite nicely with those mid-nineties Cleveland Cavs uniforms. 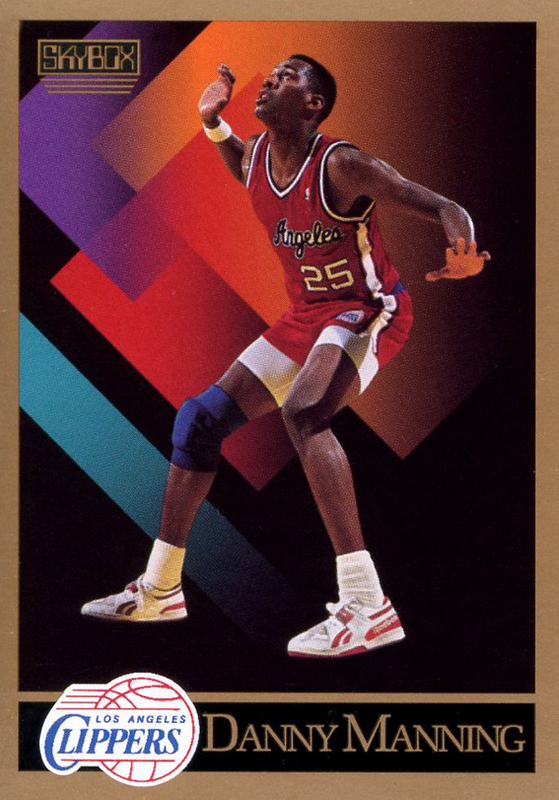 A second All-Star point guard spotted this week is Allen Iverson in his first signature shoe, the Reebok Question. Little more needs to be said about The Question, one of the most iconic and best selling basketball shoes of all time. 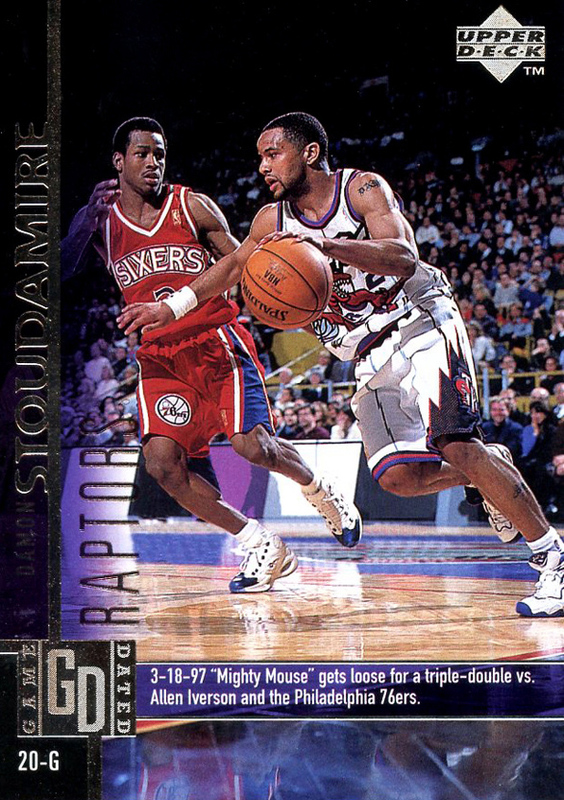 Here we get a look at a Rookie Iverson guarding "Mighty Mouse" Damon Stoudemire. 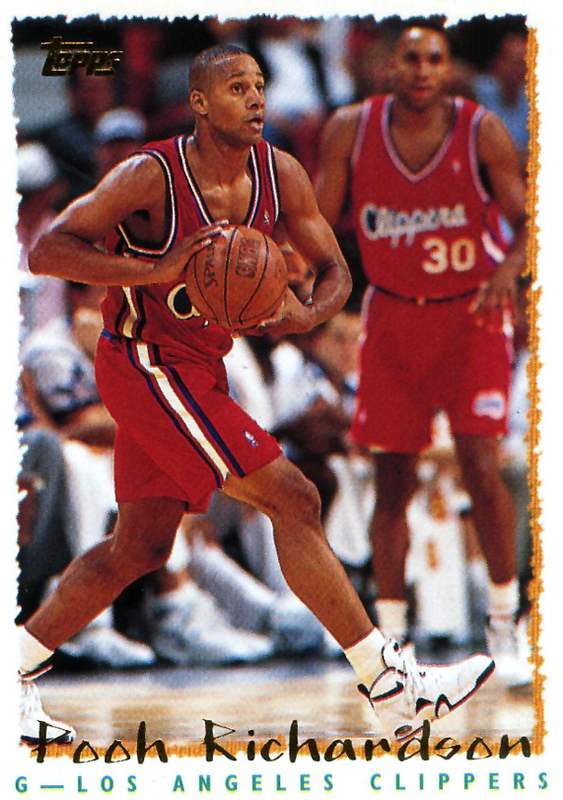 Next up we have Pooh Richardson in the little known Nike Air Pound. A forgotten Nike basketball shoe of the early 90's, the Air Pound was an inexpensive option in the Nike FORCE line. 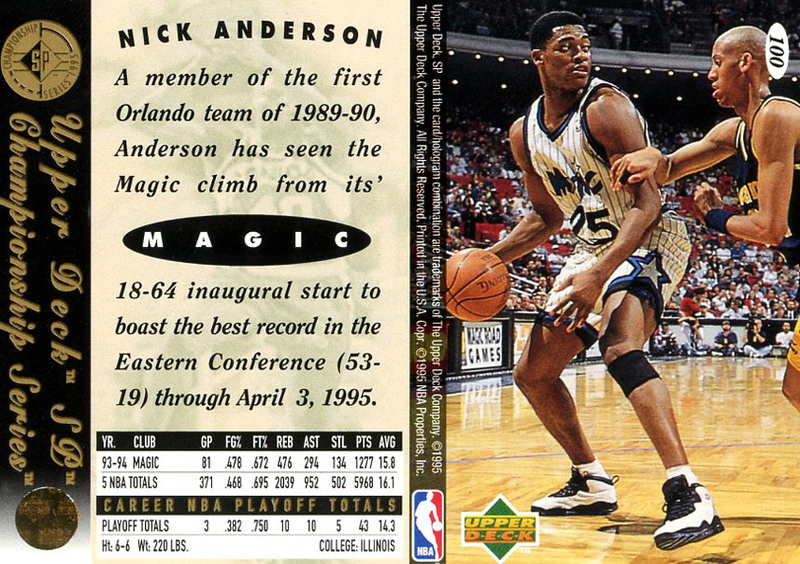 This is the first card I've come across with a sighting of the shoe, which holds a special place in my heart because I had a pair as a kid in the black colorway. To finish up this week we see Terry Mills hoisting up a jumper over Patrick Ewing in the Nike Air Force 180 High, Nick Anderson in his PE Air Jordan X and Danny Manning in a nice low top Reebok. Anybody happen to know the name of these Reeboks?